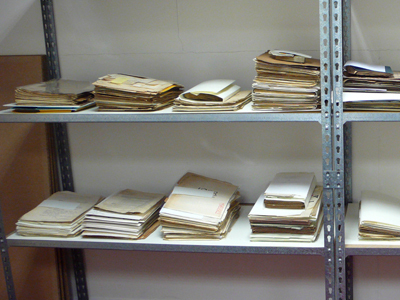 Hundreds of fragile documents and photographs dating from the 1920s and 1930s have required specialist conservation work to prepare them initially for digitisation and then for archiving. 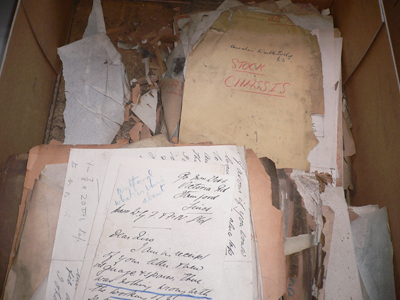 Original documents from the late 1920s awaiting conservation. 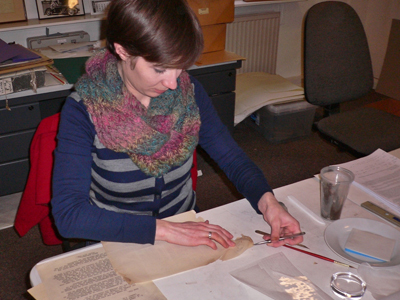 Conservator Eleanor Johnson working on the repair of a tear.